I've got myself a new project, to cheer myself up a bit. It has absolutely nothing to do with the war effort. We're completely starved of art in London these days. Anything decent was stashed away by the authorities years ago. But the National Gallery is going to dust off one masterpiece each month, put it on display, and allow us masses to trail in front of it. I've promised myself solemnly that I will go along each month to see whichever painting it is that has been chosen, then write and tell you all about it. So, what do you think? It must be better than knitting socks for sailors or collecting old tin to turn into Spitfires. Seventy years later, Daisy's words have an unimagined effect on Claire. Devastated after a miscarriage she has distanced herself from her own life, and from her husband, Rob. 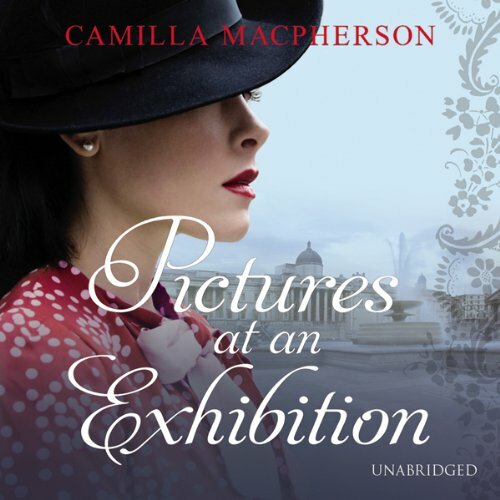 Unable to deal with her own reality, Claire becomes obsessed with Daisy, and as she traces her life, month-by-month, painting-by-painting, she starts to notice intriguing parallels between their lives. But Daisy is from another time, and though the paintings remain as beautiful as ever, Claire needs to accept that the past cannot be changed and that she must let Daisy go if she is ever to move on. If you have any questions about this product by Random House Audiobooks, contact us by completing and submitting the form below. If you are looking for a specif part number, please include it with your message.